French Slang is always evolving. 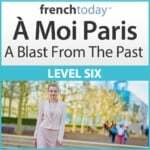 You may know some French slang, but do you know really current French slang, millennium French slang? Let’s study some up-to-date, modern French slang. For a little background info on this rich slang, make sure you check out part 1 and part 2. Yes, there is a distinction! “Se bourrer” or “se bourrer la gueule” is to get drunk. The verb “bourrer” means to push too much into or to over fill/force into (probably stems from the word “labourer”, to plow a field) so logically, to put too much alcohol into your body is “se bourrer” [d’alcohol]…. Because taking drugs usually involves smaller quantities and also tends to have more detrimental effects, we have a different verb for it. “Se défoncer” on the other hand can mean ‘to put all your energy into something” like “depuis qu’il à commencer son nouveau job, il se défonce” or it can also mean to take drugs. Obviously “amener” is ‘to bring’ and “ramener” is to bring back and both can be used in this context. “Ramène-toi” is closer to ‘bring yourself back here’ but can be interchanged with “amène-toi” no matter if you have already been there or not. It’s a pretty common slang that you’ll hear in a lot of movies and TV. This one is less of a specific new d’jeune slang word but more a bad grammar turned into expression.